Zahir al-Shurqat, Khaled Eissa and Almigdad Mojalli (left to right), three journalists who were killed reporting stories many Americans chose not to read. Almigdad Mojalli. January 17, 2016. NFL Playoffs. Zahir al-Shurqat. April 12, 2016. Dancing with the Stars. Khaled Eissa. June 25, 2016. “Famous” by Kanye West. The names above belong to journalists who were reporting in Yemen, Turkey and Syria, respectively. The dates are those of their deaths. The phrases following each date are what Americans were talking about online the day these reporters were killed. 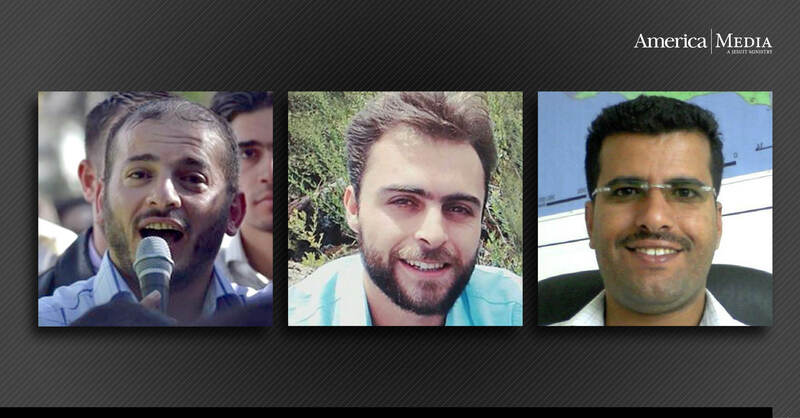 These three men are among the journalists who died covering the news Americans did not read. According to the Committee to Protect Journalists, an organization that has investigated and verified the deaths of journalists since 1992, 49 journalists or media workers have been killed in 2016. Nearly seven in 10 of those killed this year were covering war. Mr. Mojalli was covering Saudi Arabia-led military action in Yemen for Voice of America when he was killed by an airstrike. Mr. Al-Shurqat reported on the Syrian civil war for Aleppo Today. A member of ISIS executed him in Turkey. Mr. Eissa died from injuries sustained from an improvised explosive device. He was covering Syria too. News organizations promote stories about conflict or human suffering. The pieces have front-page treatment and are shared on social media. Yet, these stories about Mosul, Juba or Aden are often drowned out by other content, reasons to love Game of Thrones or hot takes on Kanye West’s “Famous.” Many news reports are published to more or less just sell digital advertising space, and there's nothing wrong with knowing 12 ways to keep your closet organized. But others are published because the events should matter to us. Reporters in the field covering stories about the war in Syria, the land dispute between Pakistan and India over Kashmir or the conflict in Ukraine are documenting our world. The moments they write about will fill the history textbooks of future generations. They will define lives and politics for generations to come. Keeping informed about those stories honors those who are suffering around the world as well as those whose vocation is to make us aware of that suffering. Knowledge comes before action. News informs how we vote, where we spend our energy and why the 24 hours of each day matter. The internet provides an unlimited pool of information. Our society is growing more globalized, and knowing what is going on in the world has never been easier. Where we choose to click and what we choose to read matters. Collecting these stories cost some people their lives. Why not honor that sacrifice? Reporting has always been a dangerous profession if one wants the truth because many will kill to protect the lies necessary for their power. This election has illustrated that much of the press in the United States is not interested in the truth. So I would not choose to click on the established media in the United States if one wants the truth. One has to search. Which because of inertia is very dangerous for the people of the country. They are not getting the truth.